Berlin - Germany team manager Oliver Bierhoff has called for patience with the world champions as they continue to bed in a new system in Wednesday's friendly against Australia. 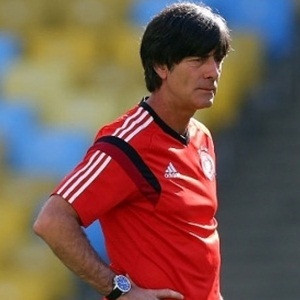 The Germans lifted the 2014 World Cup title with a 4-2-3-1 formation, but coach Joachim Low has toyed with a three-man defence in a 3-4-3 line-up, without using a classic striker, since their Brazil triumph but with mixed results. A shock defeat to Poland in last October's Euro 2016 qualifier was followed by a draw at home to Ireland before wins over minnows Gibraltar and Spain at the end of 2014. Germany host Asia champions Australia in Kaiserslautern with the Socceroos looking to emulate their shock 2-1 victory over the Germans in 2011, but Bierhoff says the world champions need time to adapt. "System changes need time, even in training, to get the whole thing right," said Bierhoff in Monday's press conference. "In the national team, it is particularly difficult to get the players used to the different mechanism in only a short period of time." Bierhoff says the three-man defence has the "advantages of being able to react on attack and disrupt quicker". But the goal is to finish their Euro 2016 qualifying campaign as "clear group winners" with the Germans currently joint second in their group and level with Ireland and Scotland, but three points behind leaders Poland ahead of Sunday's qualifier away to Georgia. The Australia match is a warm-up for the trip to Georgia, who have won just one of their four qualifiers so far and are second from bottom of the group. "To win in Georgia must be the clear objective. That is not as straightforward as it may appear from the outside," said Bierhoff. "But we should aspire to achieve that and we have the quality in the team to win there." Germany coach Joachim Low has said he has a 'masterplan' to develop the Germans' game in 2015 as they break in a new set of youngsters after the international retirement of defenders Philipp Lahm and Per Mertesacker and striker Miroslav Klose. With Klose no longer available, Low has opted for a False Nine in a three-man attack, but neither Bayern Munich's Thomas Muller nor Mario Gotze has prospered in the unfamiliar role. "There aren't classic strikers anymore, but there are certain problems on the wings which we have to investigate," said Bierhoff.